KUALA LUMPUR (June 3): Mercedes-Benz Malaysia recorded its best sales ever in May, having delivered 1,143 units in the month, an improvement of over 100% from the 544 units registered in May 2014. The strong sales of the luxury passenger car manufacturer were driven by the C-, E-, and S-Class models, recording a total of 888 units in May. Mercedes added that the main contributors were the strong sales of the E300 BlueTEC Hybrid, the C200, and the S400L Hybrid. Mercedes’ Compact Car family, which comprises the A- and B-Class, CLA, and GLA models, recorded a total of 254 units distributed, with the A-Class leading the sales. Mercedes president and chief executive officer Roland Folger said that Mercedes will continue to produce quality luxury cars while focusing on exceeding customer expectations. “Mercedes-Benz Malaysia is on the road to success. We have had an exceptional start to 2015 with sound performance in all type classes, and the figures recorded are a direct result of our dynamic market strategy. As we further strengthen our leadership position in the luxury segment, our number one priority remains our customers’ satisfaction,” he said. Mercedes-Benz Malaysia’s record sales in May was preceded by positive sales from January to April 2015. 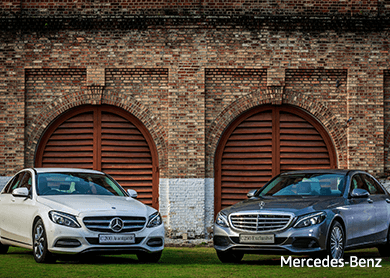 During the first quarter, Mercedes-Benz Malaysia delivered a total of 1,886 units, followed by 932 units in April.